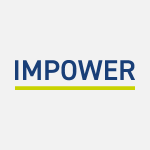 Since the release of IMPOWER ‘s white paper last week we have been referenced in numerous online articles including the Guardian, Public Finance, LGC, eGov, PPP. The support we have received from the paper has been terrific and we hope to keep the momentum going. If you would like more information on the White Paper please contact Martin Cresswell, Chief Executive or Jon Ainger, Director on 020 7017 8030.